Considering recent Hurricane Lane in Hawaii and Hurricanes Harvey, Irma and Maria last year, many might now be wondering what this entails with climate change and our state. The thing is that there are many oceanic and atmospheric variables that go into tropical cyclone formation and strengthening both favorable and unfavorable conditions, making it extremely difficult to tie climate change to one tropical cyclone. For a brief summary of what conditions are needed for tropical cyclone formation and strengthening, there are three things that all have to line up: one, hot sea surface temperatures akin to a warm bathtub (80+F or 28/29+C); two, low to no wind shear that is the differences in wind speed and direction across altitude; and three, high humidity in the atmosphere. Take one or more of these three out, and you do not have a tropical cyclone. With climate change warming the oceans, it should be expected that hurricanes would become more frequent and intense, but the collective trend over the past few decades has been that tropical cyclones worldwide are getting more intense, longer lasting, moving slower and dumping more rain, with no hard certainty on frequency. This problem with frequency is especially notable with Californians as we tend to look at the Atlantic Basin and activity only, and assume it for the whole country. That is an extremely dangerous logical fallacy I see with many in California because we are in the Eastern Pacific Basin, not the Atlantic Basin. Having regularly watched tropical cyclones since 2004, and following the El Niño and La Niña cycles in the Equatorial Pacific for almost as long, the Atlantic and Eastern Pacific Basins have a distinctively inverse relationship to each other along with how El Niño and La Niña affect these two basins. In most cases, when conditions in the Atlantic Basin are extremely favorable for tropical cyclone formation and strengthening, it is extremely unfavorable in the Eastern Pacific Basin, and vice versa. El Niño tends to make conditions rotten for tropical cyclones in the Atlantic while much more favorable in the Eastern Pacific. La Niña usually brings the inverse of the activity to El Niño in these two basins. Last year we were in La Niña, which enhances hurricane activity in the North Atlantic, and it showed in 10 hurricanes in a row, and a destructive and deadly trio in Hurricanes Harvey, Irma and Maria. In contrast, the North East Pacific had average activity. This year, a weak El Niño is struggling to form, and the North Atlantic has been practically dead while the North East and North Central Pacific have been extremely active, with a near hit on Hawaii by Hurricane Lane — a state that almost never gets hit simply due to being small specks in the middle of the Pacific. Californians often make the mistake of being less cautious during El Niño years even though it warms up our waters significantly, meaning we should be extra vigilant during El Niño events not less, and especially in extreme ones like the recent legendary 2014-16 event. We should not be letting our guard down when we are more likely to get hit this year, and our protective cold current that has acted like a sponge at sapping the heat energy of approaching tropical cyclones most of the time is not going to protect us for much longer as the world heats up. 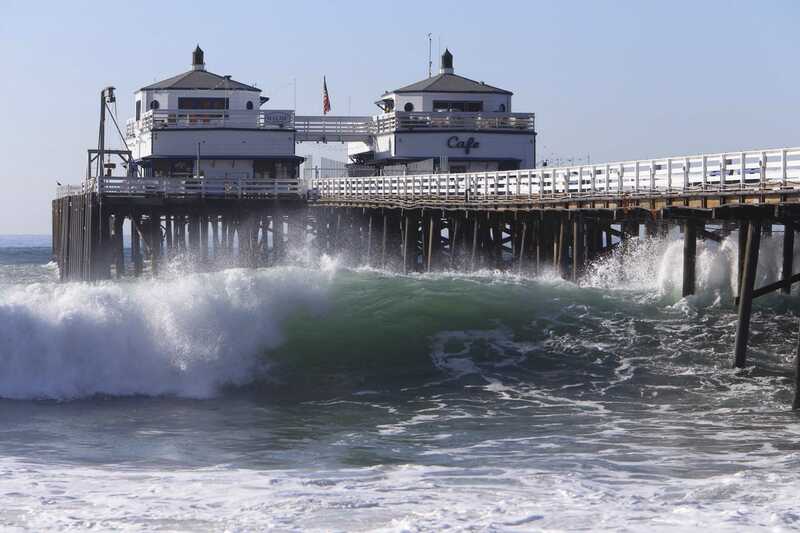 In the historical record, California has been directly hit mostly with tropical remnants, though there were a few isolated tropical depressions making landfall on southern California. The only tropical storm landfall was in 1939, and the only hurricane to hit the state was in 1858 when San Diego suffered a direct hit, but no landfall by a minimum strength hurricane. The San Diego direct hit is the strongest tropical cyclone to affect California directly. In fact, a taste of what is to come and one of the very few tropical cyclones that I have seen since 2004 that I firm confidence in being directly linked to climate change occurred during the peak of the 2014-16 El Niño event in late 2015, the record-shattering North Eastern Pacific Hurricane Patricia. In October 2015, an absolutely perfect setup of conditions led Hurricane Patricia to explode into a 205 mph hurricane in just one day. Patricia later peaked at 215 mph, the highest maximum sustained wind-speed ever recorded worldwide in a tropical cyclone, and the only one reliably measured at or above 200 mph. Fortunately, it rapidly weakened before making landfall in a sparsely populated part of Mexican coastline at a still exceptionally strong 150 mph. However, the 215 mph record still stands. Hurricane Patricia’s shattering of the 200 mph barrier is an exceptionally dangerous warning of the warming to come in the following decades, and California’s days of being protected by its cold current are numbered. California has been affected by tropical cyclones in the past, and it is going to be affected much more frequently in the future as the world continues to heat up. While California and climate change, and tropical cyclones and climate change are fairly easy for most to link now, linking California and tropical cyclones along with all three are much harder for most, and we are rapidly running out of time. The writing is now extremely visible on the wall for us.